Build your own ant colony! Use your skills and wisdom to bring down enemies from backyards all over the world! 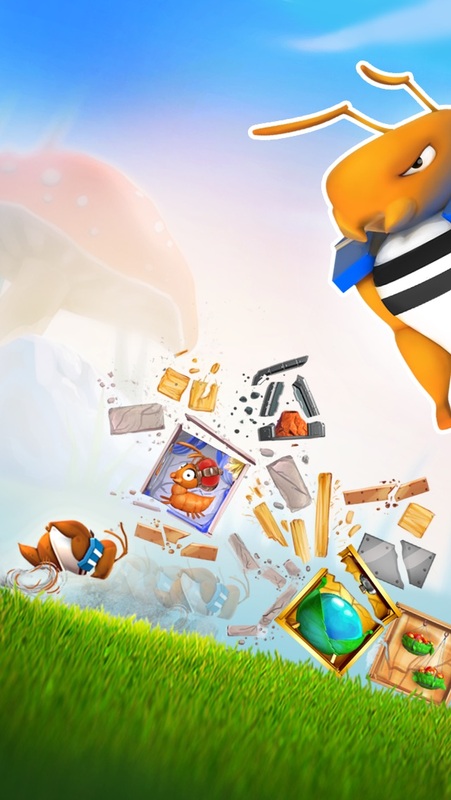 Battle Ants is a fun strategy game combined with awesome physics-based action. Grow your colony to make it the most powerful in the whole world! 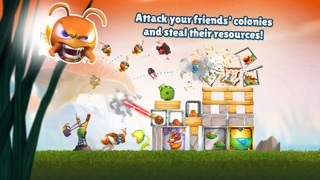 Breed and train battle ants and get rich by looting your rivals. But remember to protect your own food and water from enemy raids! 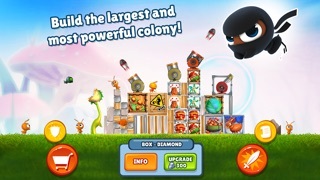 Engage in thrilling single and multiplayer missions - and conquer the world! Features: - Single- and multiplayer, physics-based action! 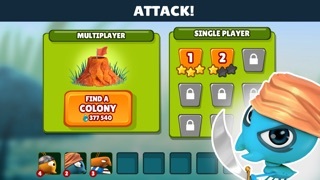 - No creativity limit: build an infinite combination of Ant colonies - Grow faster by robbing resources from other colonies - Awesome characters - Highly engaging gameplay! I got the game again and all the top 5 players are kind of afk forever, no construction at all :/ Does anyone play this still? I must know! I love this game soooooooo much. 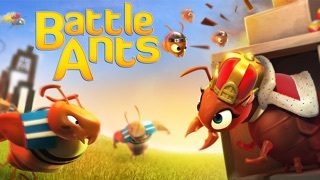 I love it because it has ants, you can attack the enemy like in angry birds and it has the basics of clash of clans. I love it. This is my second time playing the game and in two weeks time, I've earned enough medals to be ranked in the top 80 players. My first time, I was in the top 5 players a couple years ago, I deleted as there wasn't much left I could do. The game is fun and addictive until you've tapped out and can't progress any longer. Then all your doing is trading earned medals with others that have tapped out through attacks. I've never spent any money on the game, just upgrade regularly as time allows. Note: there's something off with the algorithms as well. They don't update the top medal earners often as my rank doesn't move when I earn new medals. This is understandable as I'm sure the medal counts are changing all the time, but a nightly reset at midnight for example would be nice. Also, there are those of us who have figured out there is a built in cheat, I won't spoil it for you, but look at the ant colonies of the current top 5 medal earners and you can figure it out with a little time in the game. I think more types of defenses should be added. I love this game. I had lvl 5 water collectors and mushroom producers and all these gold sticks and i had so much fun. One day when i was coming on again because one of my carnivorous plants grew. But in never loaded. I waited for about 10 minutes. Then it crashed. Clicked on it again. It said "we cant find your colony blah blah" but it played the song when you are seeing your colony. Then it crashed. I gave up. I was so sad. Deleted it, downloaded it again. Still not working. Its not working on my other device either.